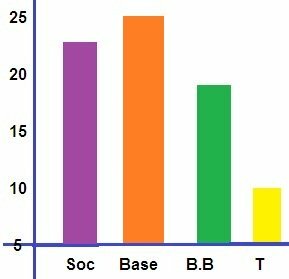 Bar graph is a graphical chart which is used to compare the events or frequencies of the given data. This graph is drawn to represent frequency distribution table.The following types of graphs are for one independent and one dependent variable. 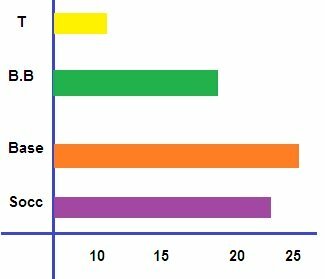 This type of bar graphs are drawn by using vertical bars to represent the given data. A survey shows the games liked by the students in seventh grade. We can use vertical graphs to show the graphical data by using bars of different heights. In the vertical axis number of students are marked and in the axis games are marked. In this type of bar graphs y axis is used to label the variables. X-axis is used for denoting the frequencies. The above data can be expressed in horizontal graphs also. This type of graphs displays various separate events that have their beginning and end values. 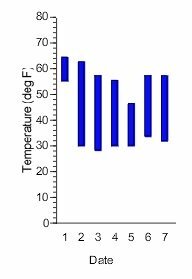 For example temperature readings in a month or in a week can be marked using this type of graph. 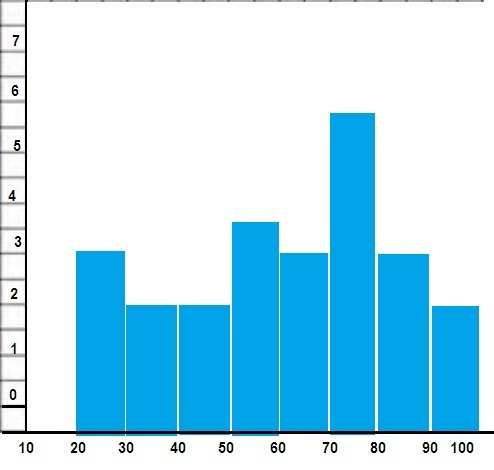 A Histogram is a type of graph which represents the frequency distribution by drawing rectangles. The width of the rectangle represents the class interval and the height represents the frequency. We will see an example for histogram. Let us draw the frequency table for the above problem. Let us solve the problem step by step. 1. First we have to arrange the data in ascending order. 2. We have to find the highest and lowest values to find the data. Range = 98-24 = 74. 3. We have to divide the range by the number of groups we want so that we will get the class interval. We want 8 groups. So let us divide 74 by 8.
since we are getting the range as the decimal, we have to round it to the nearest number. The class interval for this problem is 10. 4. To form the class interval we have to start from less than or equal to the smallest value of the given data. The lowest value is 24 and the class interval is 10, so let us start the class interval from 20. Starting at 20, with the class interval as 10, the lowest values of the class intervals are 20,30,40,50,60,70,80 and 90. 5. Let us table the given data and construct the frequency distribution table. The first 3 values of the rearranged data are 24, 26 and 28. So the frequency of the first class interval is 3. The second class interval is 30-39. The values falling in this class interval is 34 and 37. So the frequency is 2. The third class interval is 40-49. The values are 43 and 44. So the frequency of this class interval is 2. The fourth class interval is 50-59 and the values are 52, 54, 56 and 56. The frequency is 4. The fifth class interval is 60-69 and the values are 63,65 and 65. The frequency of this class interval is 3. The sixth class interval is 70-79. the values under this interval are 72, 76,76,77,77 and 79. The frequency is 6. The seventh class interval is 80-89. The values are 82,87 and 89. The frequency is 3. The last class interval is 90-99. The values are 91 and 98. So the frequency is 2. 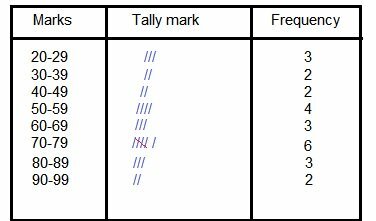 Now let us mark this in the frequency table first marking as tally mark and after that frequency values. Now let us draw the histogram for the above frequency table. Taking the class interval in the x axis and frequency in y axis the histogram will look like this. We have drawn the frequency table and histogram for the given problem in this page. 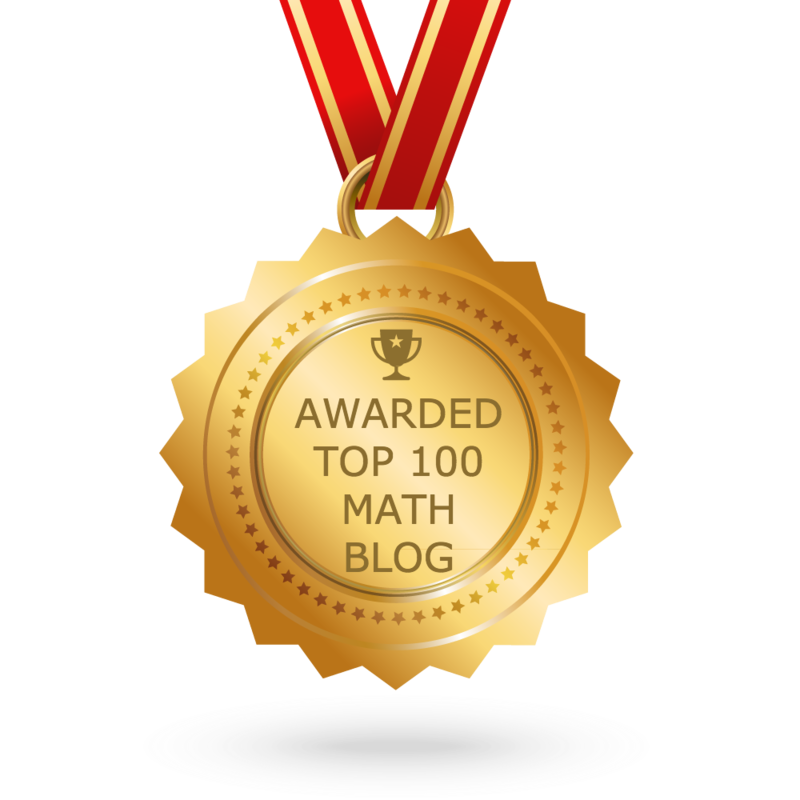 Students can practice the problem on their own, and they can verify with the solution if they have any doubt. If you are having any further doubt, you can contact us through mail, we will help you to clear all your doubts.